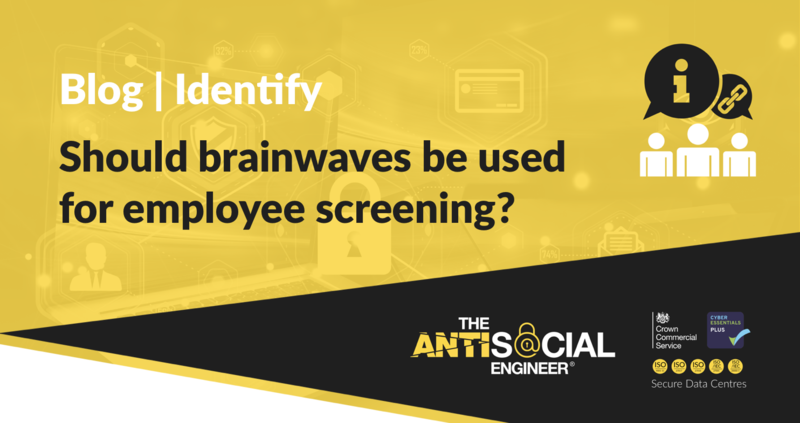 Should brainwaves be used for employee screening? An interesting article by SC Magazine regarding a study that suggests brainwaves could be used to assess if an applicant will be a security hazard. At The AntiSocial Engineer we believe staff are never beyond help, we work together to improve our weakest link and we grow stronger. Thanks to Doug at SC Mag for toning down our opinion condemning such studies.